Nothing says 'love' more than a few decorative hearts. 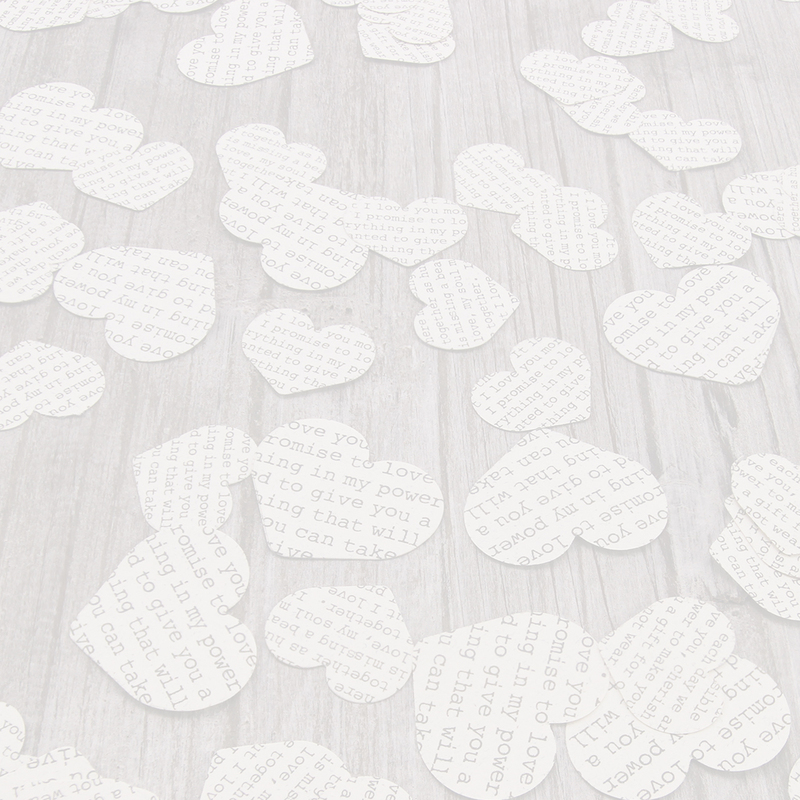 From tags or labels for gifts, to hearts to hang around your wedding reception from chairs or bunting to those that can decorate your wedding wishing tree there's a style for you. As you can imagine, on a website that specialises in weddings, the 'heart themed decorations' department will be a large one! Shop by price, wedding theme or colours to narrow your search or just enjoy scrolling though the lovely products.From table plan ideas to hanging decorations and tiny embellishments for your DIY wedding stationery you'll find lots of inspiration.Your venue styling will benefit from all the lovely heart themed tags, heart shaped picks, love themed garlands, heart themed favour gifts and heart chalkboards. Let your imagination run riot and imagine how wonderful a heart themed wedding would be. If you're looking for sparkle visit our diamante and diamante and pearl embellishment departments. Shop by the 'drop down' wedding theme 'hearts' and admire our beautiful heart shaped diamate embellishments and brooches.